Auckland, 11 May 2013 - At a time when the proposed Auckland Unitary Plan could result in an increase in higher density mixed use high rise commercial development, five individual retail and office properties with significant development upside have come on the market for sale along thriving Orewa’s waterfront. Marketed on behalf of Orewa Village Developments Ltd by CBRE’s Harold McCracken and Mark Calvert, the five individual titles at 292-316 Hibiscus Coast Highway are for sale by way of Deadline Private Treaty, with a closing date of Wednesday 5 June at 4pm. The five properties make up a great mixed use location in the heart of a main arterial route location in busy Orewa, backing onto the Countdown supermarket and carpark. All the titles face the Hibiscus Coast Highway with fronting ranging from 18m to 78m, with a total frontage of more than 198m, offering tenants strong visible exposure. The five separate freehold titles are predominantly made up of two level buildings, with a mixture of retail and office tenants. There is a combined land area of 4,815sq m and the individual properties range in size from 946sq m to 1022sq m.
“The properties at 292 and 294 both feature an attractive ground floor mews style retail precinct, and 300, 306 and 316 also have smart ground floor retail space on offer. 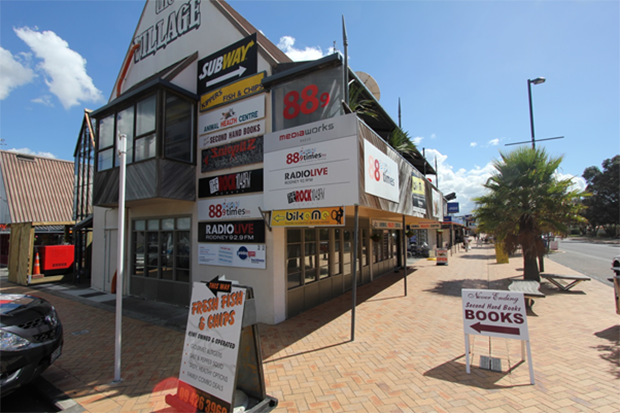 Orewa has a busy retail area so these properties add to the mix with their range of shops and businesses. Calvert says: “In addition to the great Highway frontage, the site also gets a good degree of exposure from the Countdown and its car park. Development is currently underway to create more car park space for the complex. Future development could see the car park from Countdown merged with the car parks for the 292-316 Hibiscus Coast Highway site, creating a larger combined area for vehicle and pedestrian traffic through the area. Based on exposure alone you can start to see why these premises offer such an attractive opportunity”. McCracken says that at present there are some 30 tenants across the five properties, with varying lease terms, and a few vacant tenancies ready to be leased. Currently the site has an 80% (approximately) occupancy. “The annual net income is approximately $617,000, which provides strong holding income for an investor who owns all five sites. In addition, thanks to the spread of tenants in the properties, investment risk can be spread, which we know is something of value to investors and developers”. Each building has a number of tenants, ranging from four to eight on each site. The range of tenants includes popular food outlets like Subway, a Real Estate agency, a longstanding chemist, and a commercial radio station. McCracken adds that Orewa has been earmarked by the Auckland Council as a high-density town centre for significant future population growth. “We are confident there will be both opportunity and demand for either a revamped set of individual properties or a brand new mixed use high rise building to meet the demands of a growing population. Location-wise, you would be hard pressed to find a more attractive offering for investment and development in Auckland at this time. “In addition, the planned intensification of Orewa will drive the land value of the area up as well as seeing more people flocking to the retail heart of the suburb – when you take these factors into account, you could say it is a prime time to snap up this prime property opportunity”. McCracken says that 292 - 316 Hibiscus Coast Highway presents the chance to secure a value-add, prime retail investment in a growing beachside location. “One of the factors that will make this opportunity even more attractive is that investors have the chance to spread their investment risk from the existing retail and office tenants. “We are anticipating a mixture of interest from investors and trusts looking to purchase one or two of the titles and benefit from the holding income and increased land values - and we are also expecting interest from larger investors looking to buy the whole section and then develop it into a high quality mixed use facility.